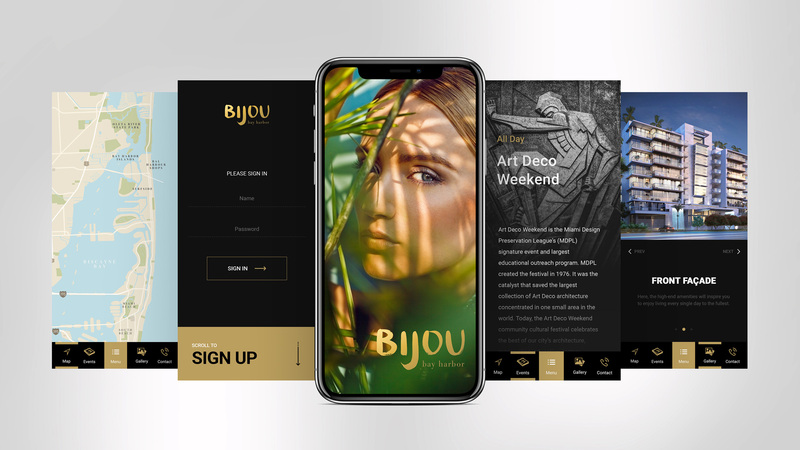 Bijou, a luxury boutique residential tower like no other in Miami, was in need of an app for buyers representative of the building’s impeccable design. Having an existing brand identity and website, the challenge was to create an engaging and informative app while elevating the level of sophistication and design aesthetic. Bijou’s existing lifestyle imagery was a great starting point for understanding their core buyer and the intended style of living. After the initial deliberation on the objectives of the app and target demographic, the structure of the interface was introduced. But how should the user interact with it? The User Flow Diagram came into play here. 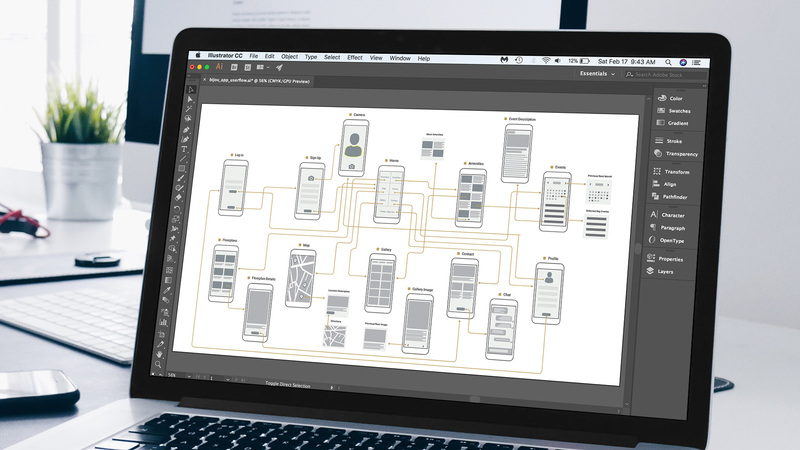 The diagram helped to understand the logic of the product by showing every possible interaction with the UI, the roadmap of those interactions and the interface state at every point. 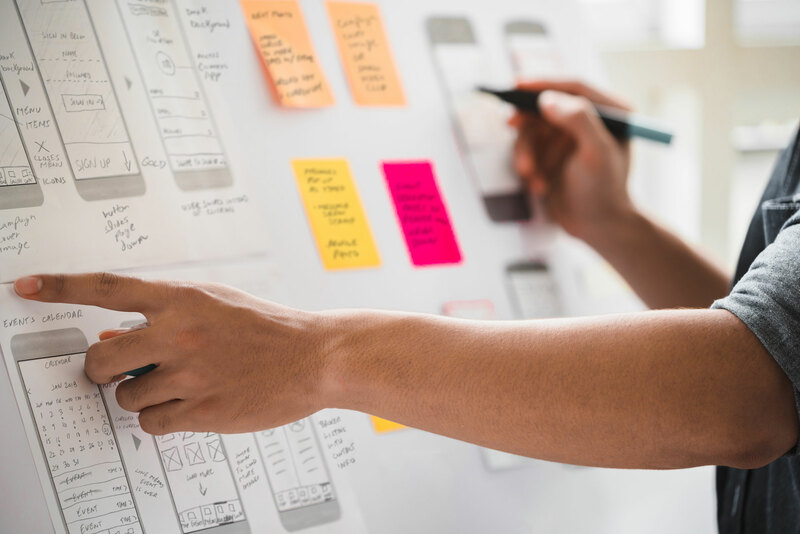 The wireframes were designed with the prospective buyer in mind, respecting the classic interface design, usability, call to actions and break lines, but dividing the content for a perfect, smooth and crisp design on mobile and tablet devices. The client was pleased with the final look and app interaction as it closely matched the brand standards already set up. The new app will be an extra feature to prospective buyers that will surely help the brokers on closing a sale. Copyright © 2019 Maya Design Studio. All rights reserved.